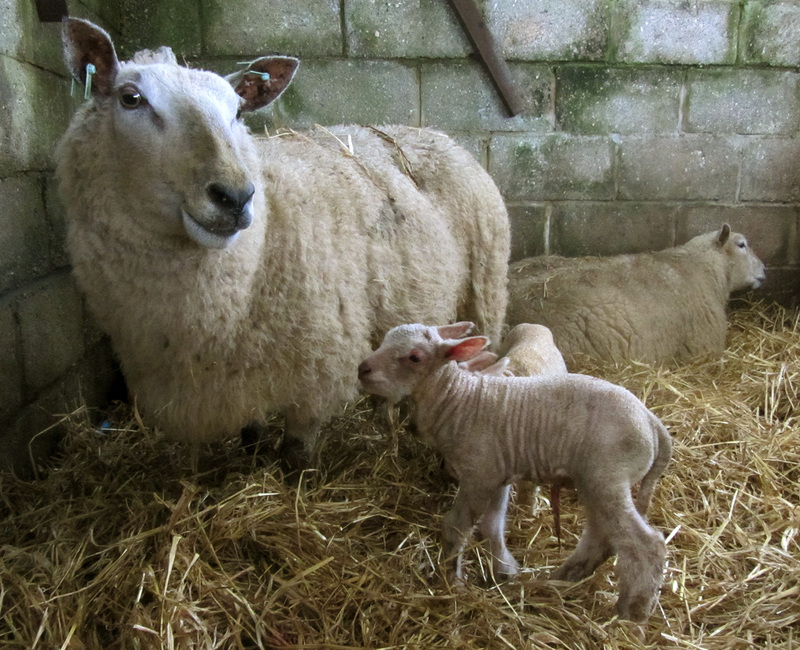 On Saturday, we took a 30 minute drive to a nearby farm that advertised they had a ‘lambing experience’ from now until mid-April. It’s definitely not uncommon to see sheep in the fields around here, but there’s only a short period of time when you can glimpse little lambs jumping in the fields. 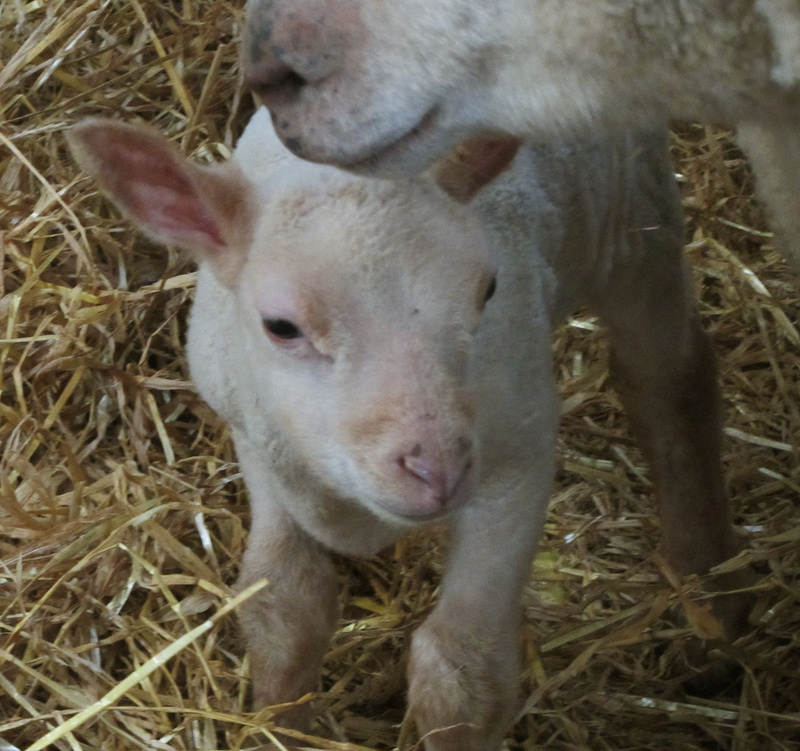 We didn’t find any jumping lambs in the fields at Coombes Farm, but we did find newborn lambs. 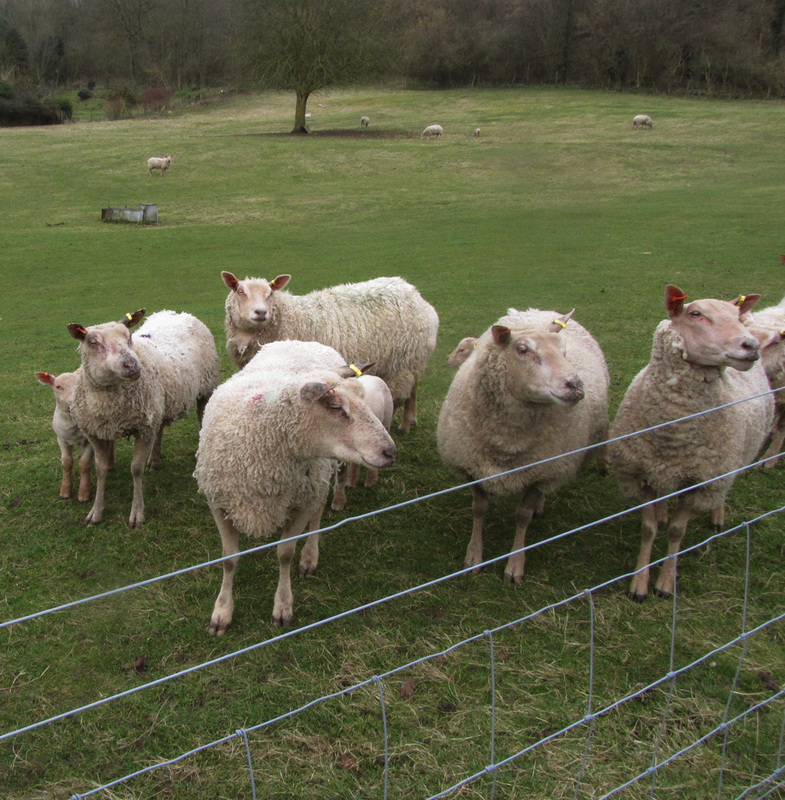 And loads of baa-ing ewes…soon to be mama sheep. 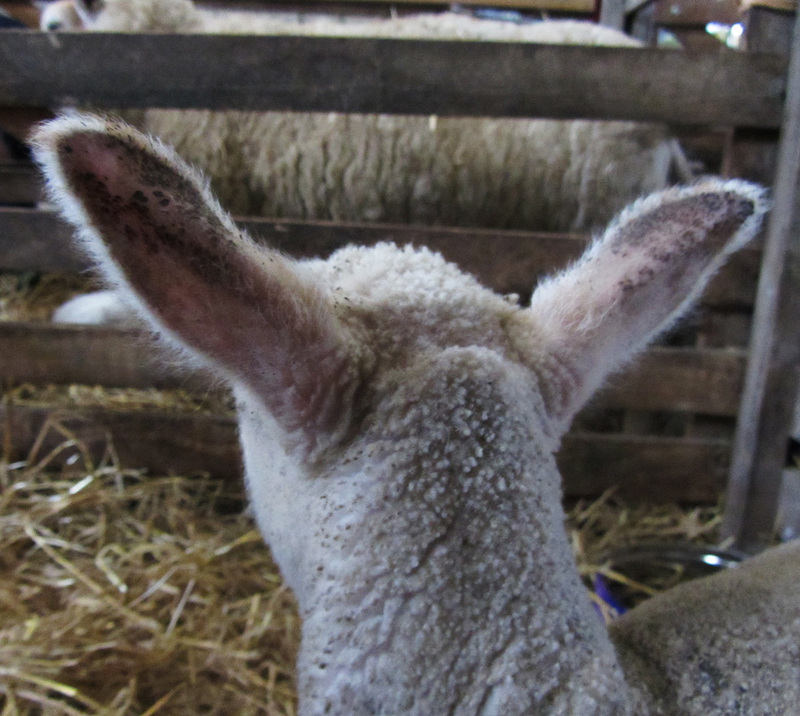 Two big barns, with hay-covered pens, were filled with expectant ewes–some would have triplets and some would have twins. As you walked around, it was possible to see ewes in labour. When we were there, there were no births, but we did see some very recently born little ones. 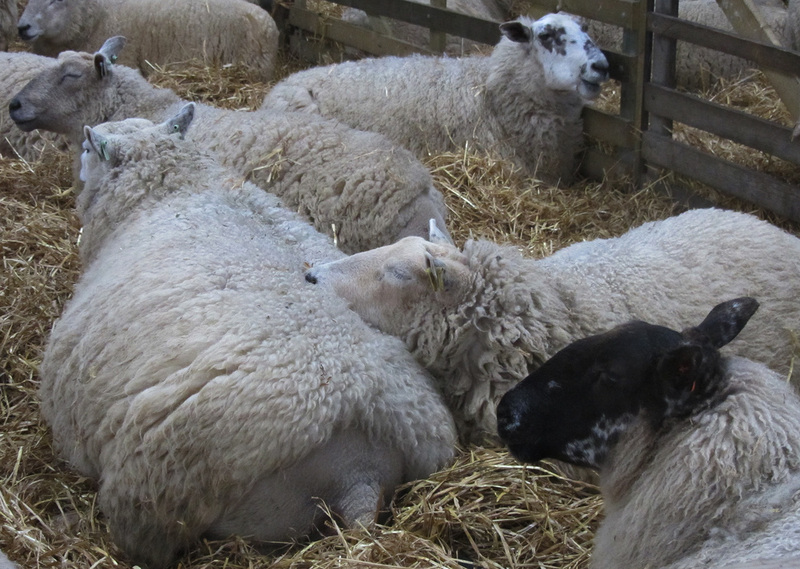 Many of the lambs were sleeping (being born is hard work) or having some milk. There was one lamb who was very noisy, friendly and active (see below…this was the only non-blurry photo I could get of the little guy). 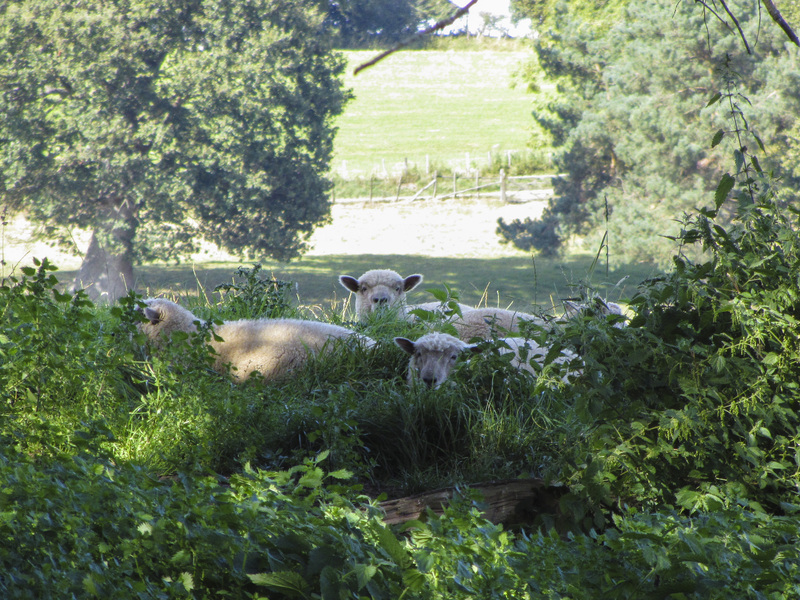 There were some sheep and three older lambs (can you spot them?) out in the field. They were very curious about us. I loved visiting this farm! It’s hard to believe that spring is nearly here especially because it’s snowing today! 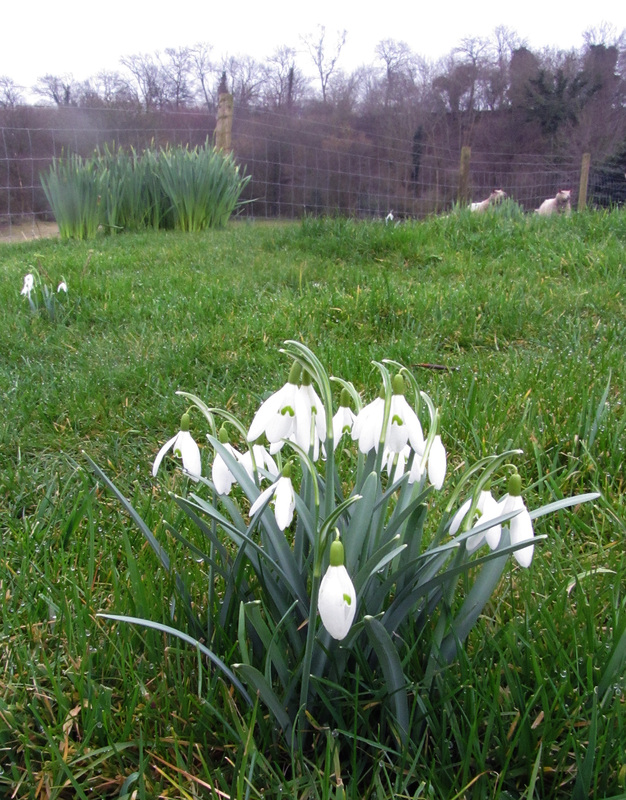 When we visited on Saturday, the grass was green, yellow daffodils were standing tall, the sky was grey and the only snow was the dainty snowdrops announcing that spring is almost here. Have you ever seen the birth of an animal? Do you know any spring lambs? I’d love to hear! PS. Deanne once helped a ewe in labour: reaching in and re-arranging the little legs so that the ewe could deliver the lamb properly. Go Mom! Remember when we first heard about farm shops? 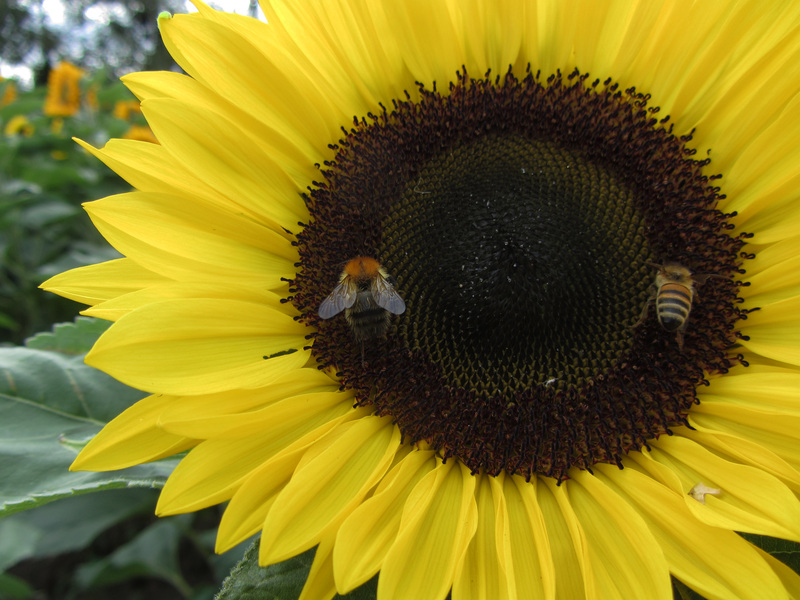 Francine wrote about the Village Greens Farm Shop in June. My first visit to a real UK style Farm Shop and Tea Room was on day one of our 13 day trip to visit her earlier this month. Steve and I arrived in Edinburgh on a Tuesday morning and Francine, Scott, and Luke met us at the airport. 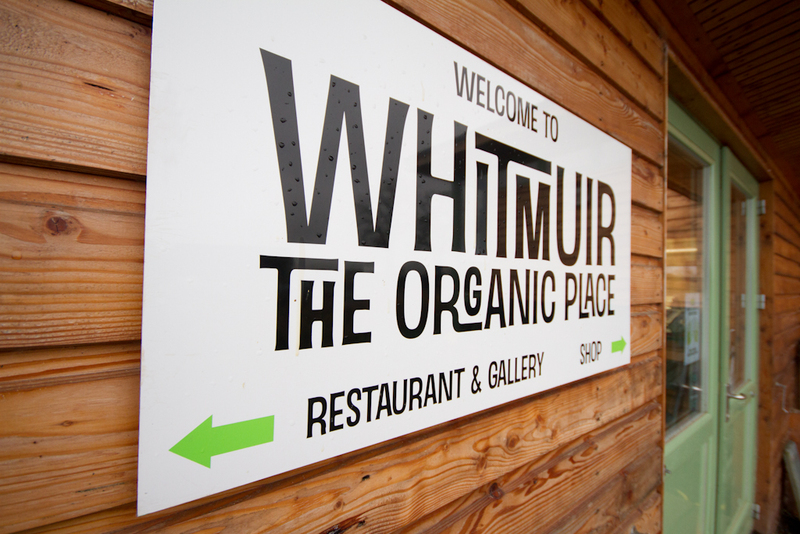 After a quick visit to the dramatic Arthur’s Seat in Holyrood Park, they drove us 17 miles south to Whitmuir Farm. We loved eating a wholesome meal in their organic restaurant and tea room and then we bundled up for a self-guided tour of the farm. It didn’t take long to get a little Scotland mud on shoes. After a wander around the farm we shopped in the store and settled back into the tea room for a pudding with another round of tea before we started our drive to our bed and breakfast. For those who live in the US, a pudding is more than just the smooth creamy stuff we eat. It is more like a rich baked dessert. The next farm shop we found was on day four of our trip. We discovered it as we were driving toward Barnard Castle just outside of the Yorkshire Dales park. Scott, being an agile driver, quickly turned the car around so we could check to see if we really did see sheep on a roof. 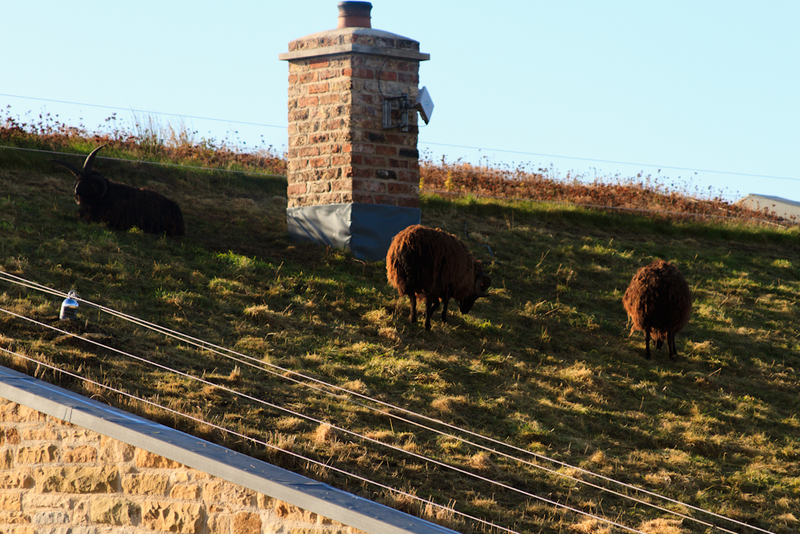 The sheep were on the green roof of Cross Lanes Organic Farm. They also had a cafe but unfortunately we weren’t hungry yet. So we just purchased a few items in the store and took lots of pictures. 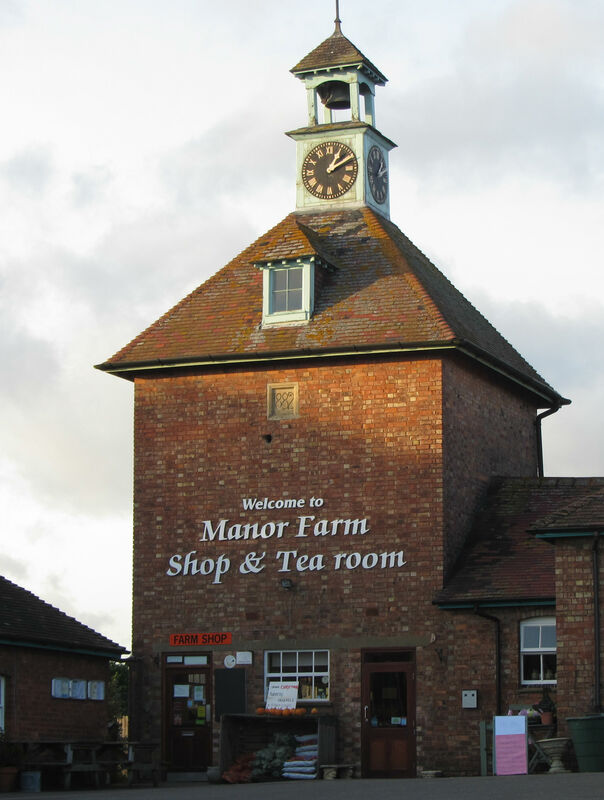 The third farm shop we visited was called Manor Farm. Since it was Sunday we ordered roast beef dinners. 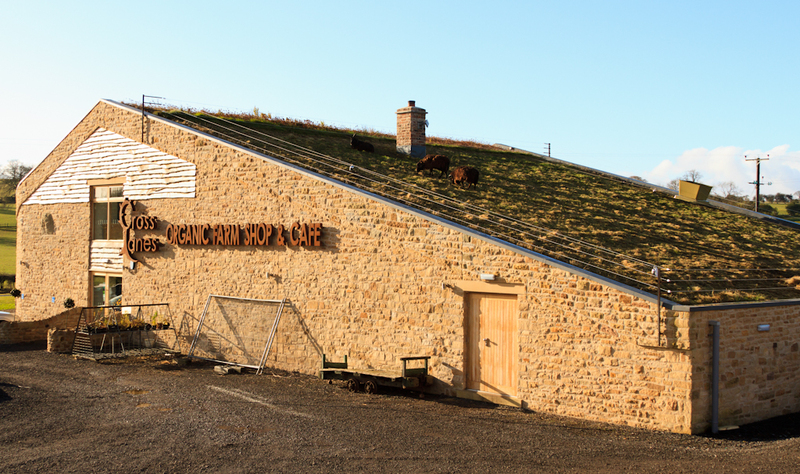 The food was outstanding and after our meal we meandered around until we found a barn. 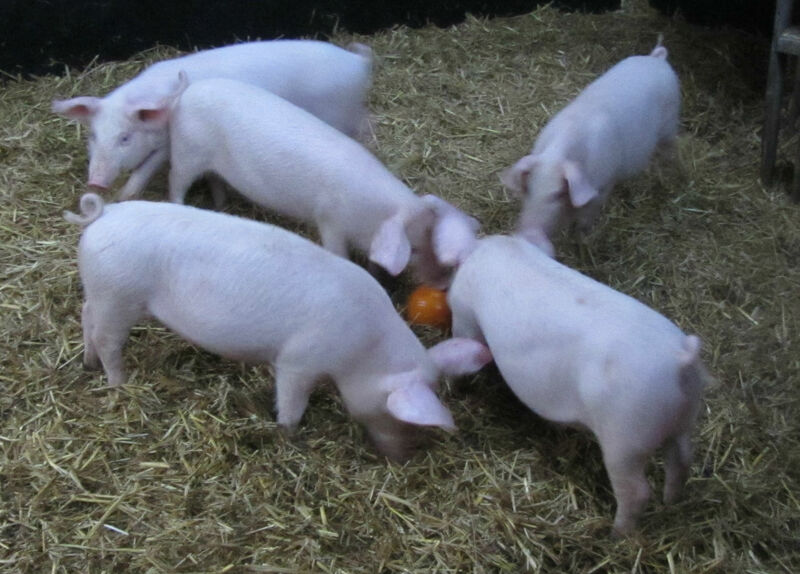 Inside there were pigs who played a game of chase the pumpkin after an employee tossed them one. 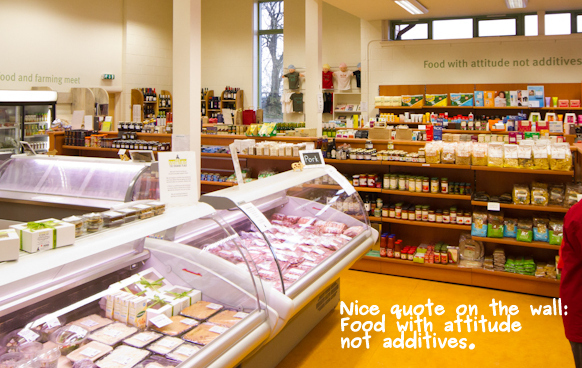 Have you ever visited a farm shop? Each one is unique and special because they are real farms which make them even more fun to discover. If I visit the UK again, I’d plan the whole trip around Farm Shops. I’m familiar with pick your own strawberries and pick your own apples, but pick your own kohlrabi and broccoli (!!?) sign me up! Two weekends ago, we spent an entire afternoon at Garson’s PYO Farm, with 30+ crops you have to drive around to the different fields, but once we found the fields we got lost in rows of sweetcorn, jumped over pumpkins and spent a very long time in the raspberry bushes (there were SO many!!). Here’s some photos of what we discovered. 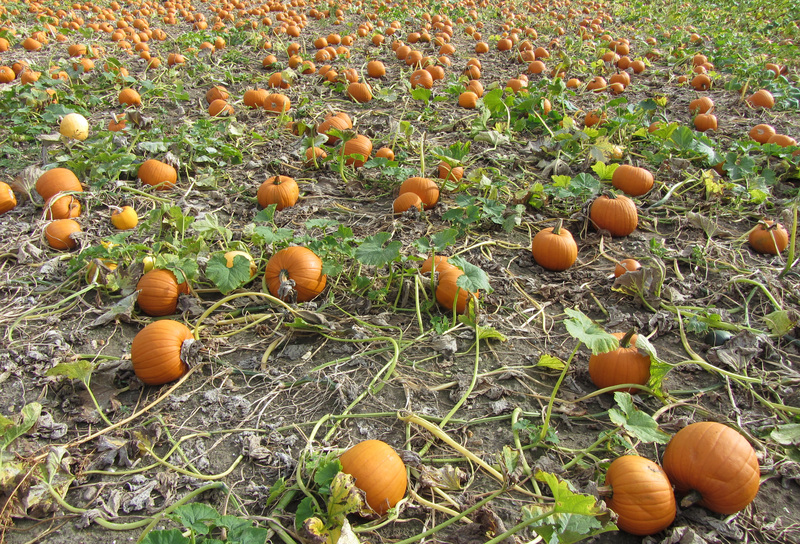 We plan to visit again this weekend to get some more apples and, of course, some pumpkins. Hopefully next growing season we can rely only on pick your own for all of our produce needs. 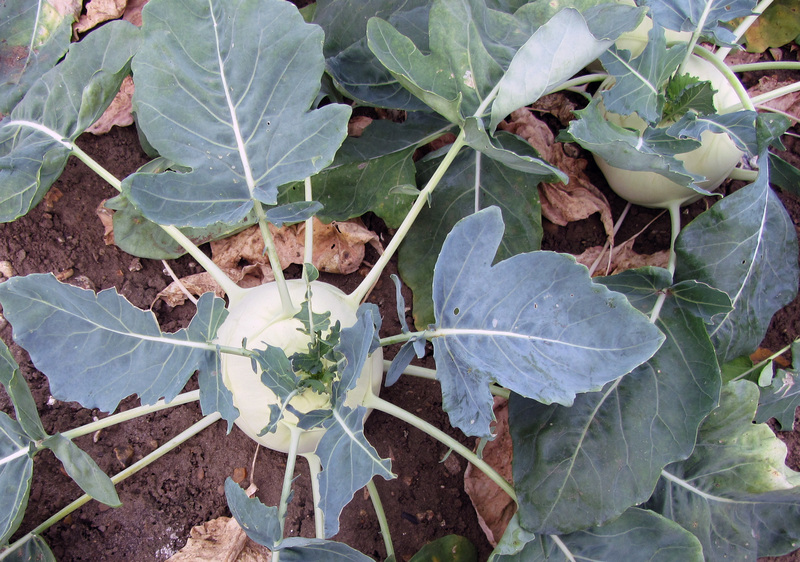 Massive kohlrabi just waiting to be turning into some fresh Kohlslaw. 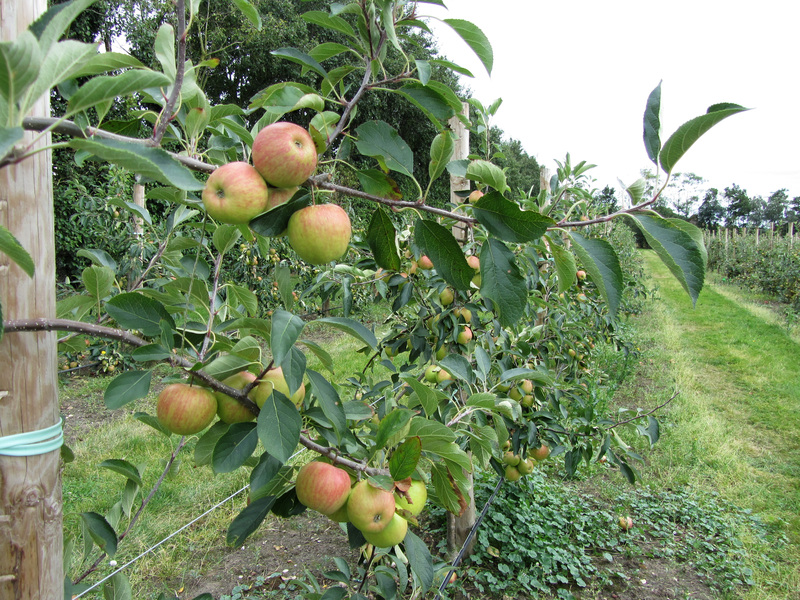 So many tasty English apples. The purple cabbage was very tender. I made some tasty slaws. There was also broccoli for picking. I picked a few bouquets and turned it into an American favourite…broccoli slaw!! Look what I found…an ambercup squash. 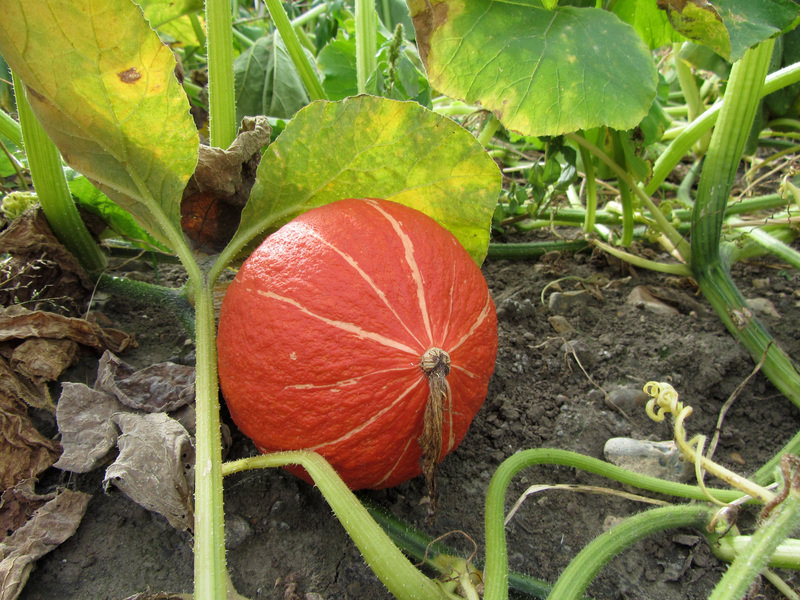 I wrote about this squash last fall in my series on squash. I discovered a new bean…the runner bean. 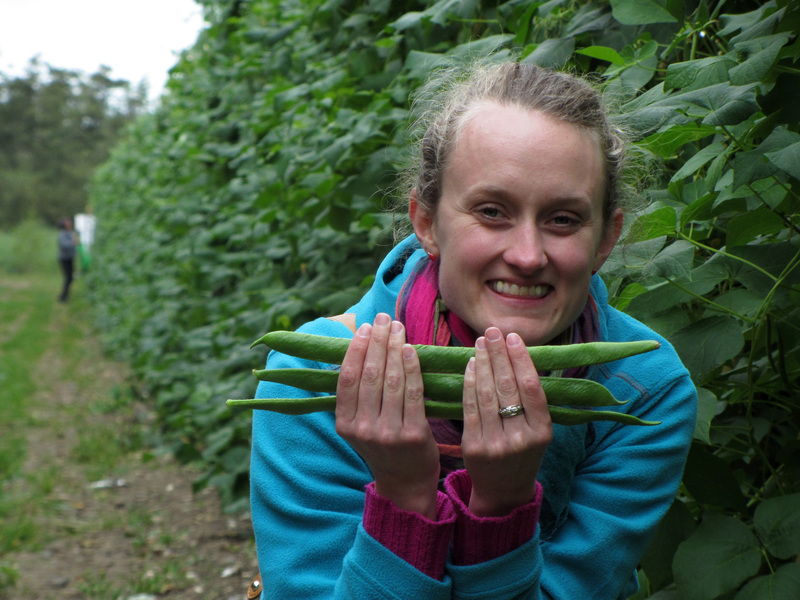 As you can see runner beans are very long, you can eat the same way you standard green beans, cut up, steamed and tossed in butter. But I decided to cut ours thinly and add to coleslaw for more crunch. 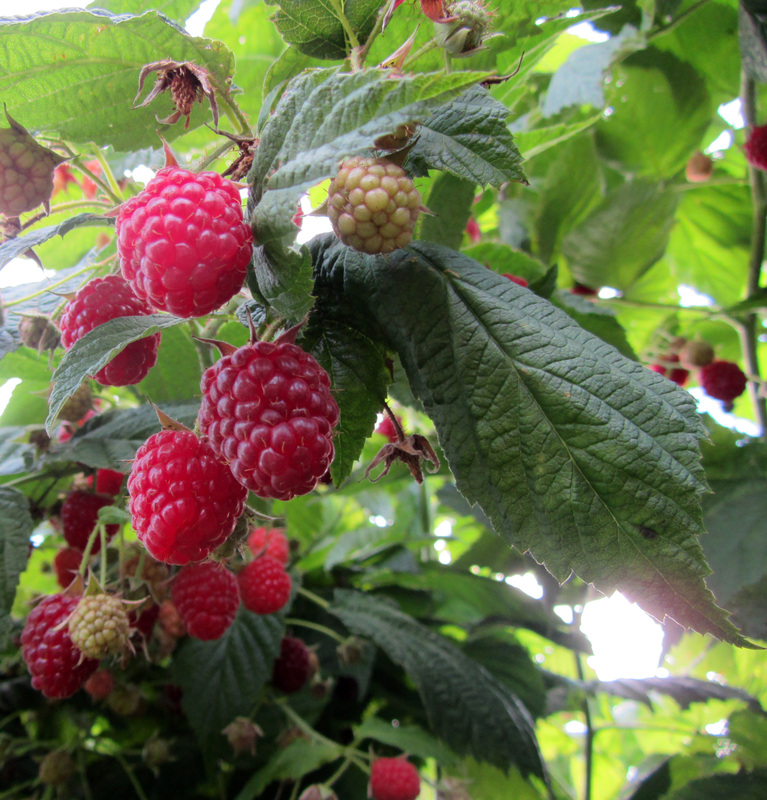 I’d probably still be in the raspberry patch stuffing my face if it was up to me. Have you picked your own everything? 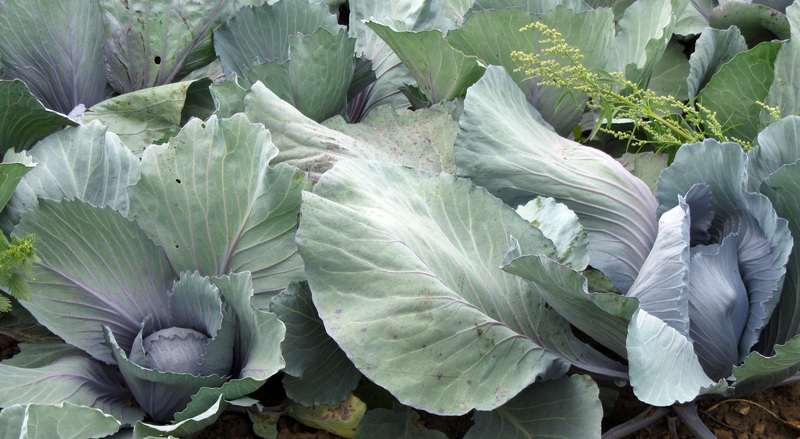 Are you still harvesting from your own garden? I’d love to hear. 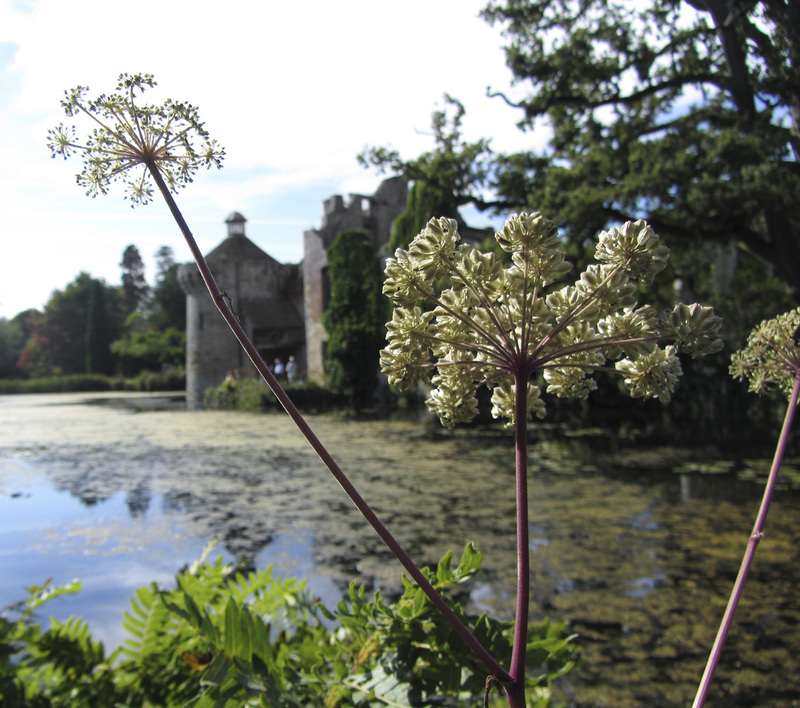 It was gloriously sunny and perfectly warm last weekend so we headed to Kent (a county over) to visit Scotney Castle. 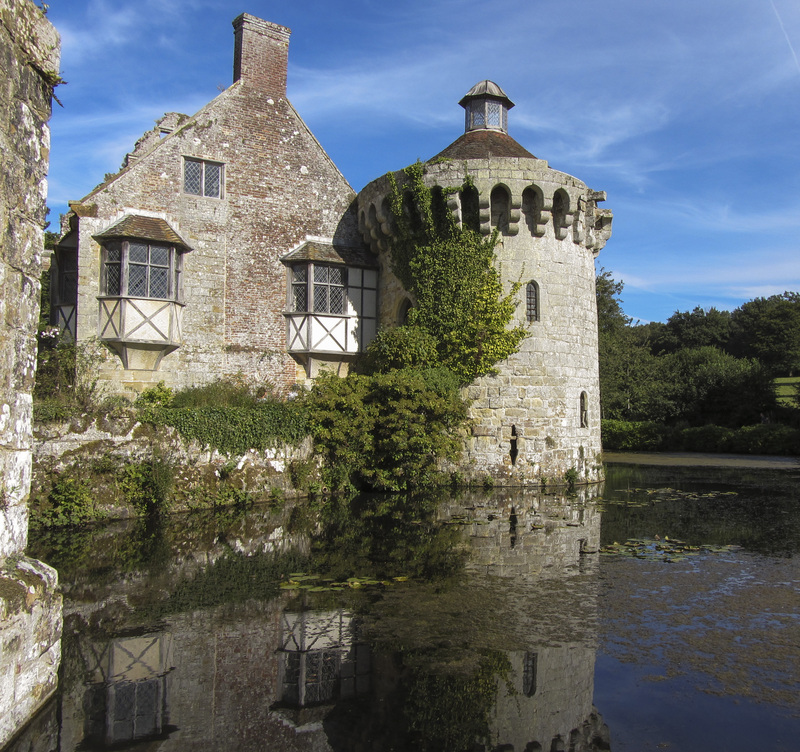 This property and its landscaper garden is a well-known example of the Picturesque style, which literally means “in the manner of a picture; fit to be made into a picture.” The castle was first built in the 13oo’s and it may or may not have ever been completed. 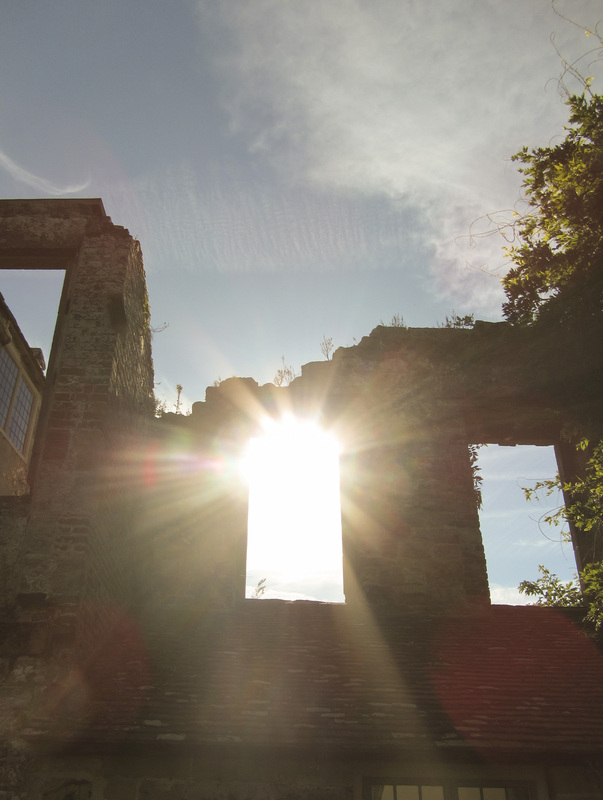 Then in the late 1700’s the family decided to build a house on the hill which over looked the castle ruins. 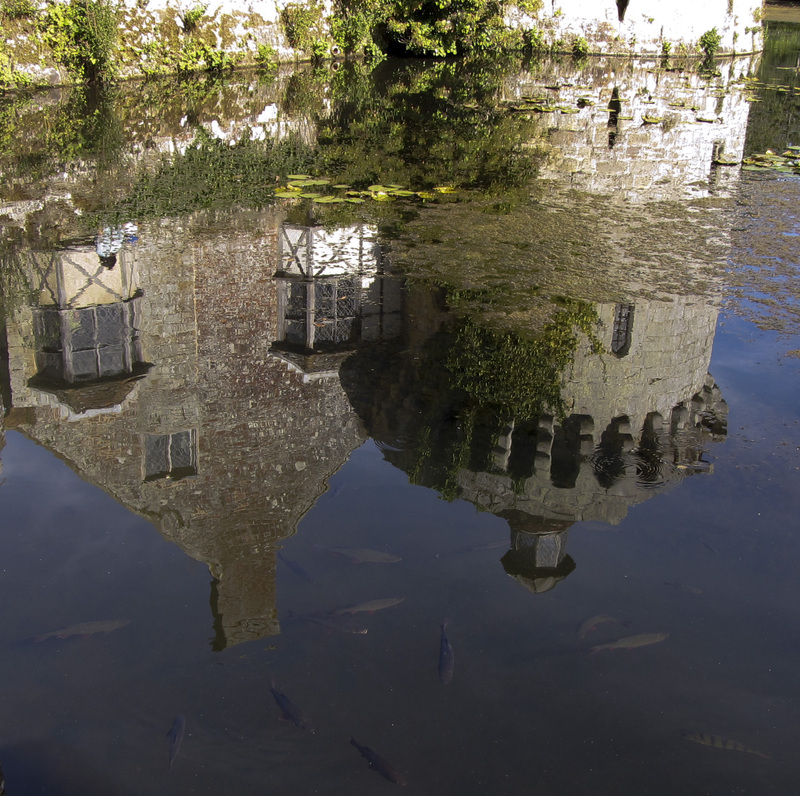 The owners then created a magnificent garden with the moated castle ruin being the main feature (sheesh…most people use gnomes or flamingos as focal point of their garden;). 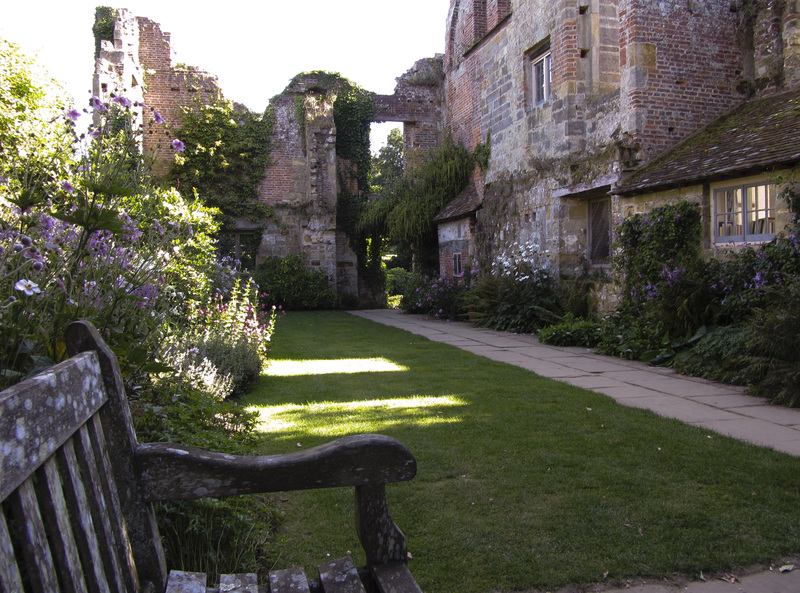 This part of the garden was behind the main tower you can see in the photos above. 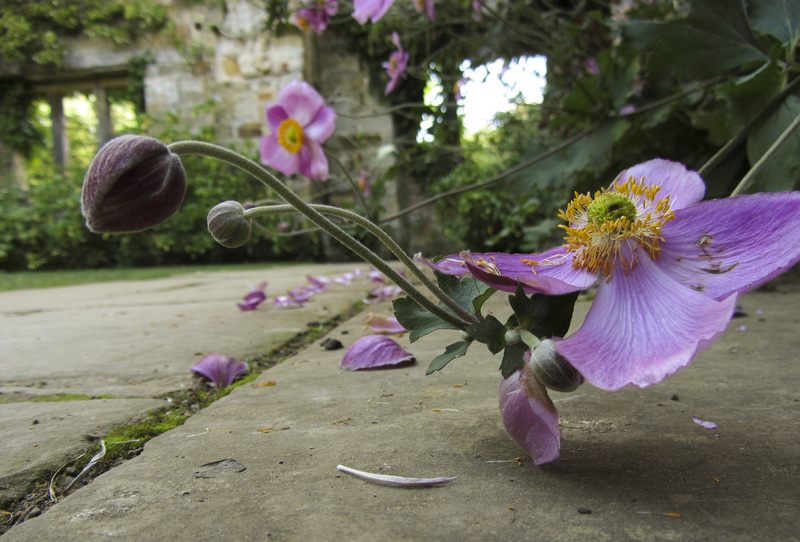 It was ruinous, calm and overgrown. Favourite. 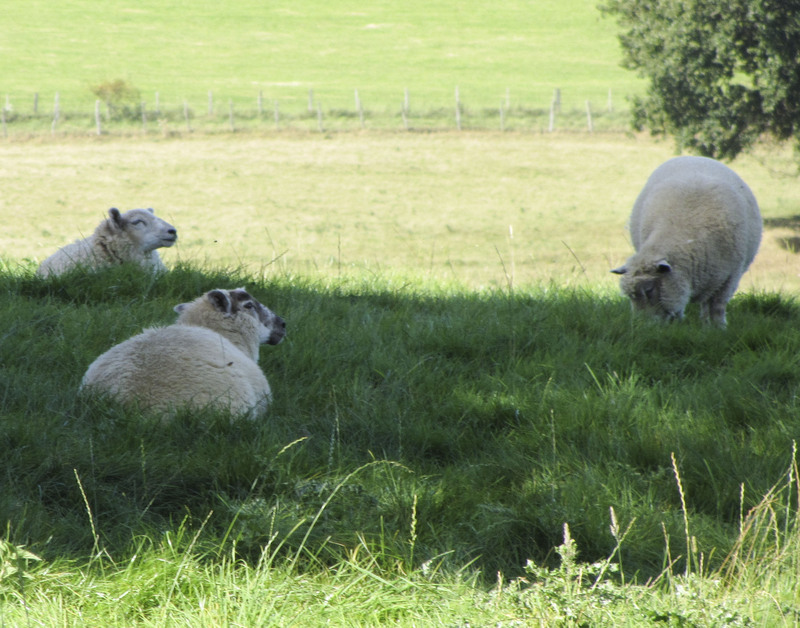 And one more photo of meditative sheep because I spent a long time watching them. Hi all! 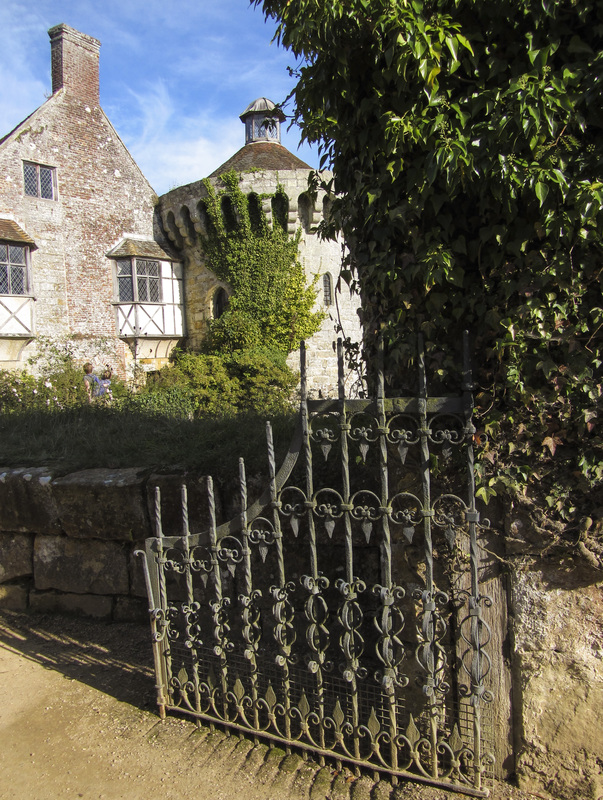 Yesterday I promised photos of our weekend visit to a Kentish castle. I’ve processed them, and they’re looking good (I got a new camera)! But…my pillow is calling my name; it’s time-for-bed time for me. Until I get the rest up tomorrow, here’s one of my favourites. Have a good Friday! Peek-a-boo sheep! Last week I was poking around our local supermarket when I noticed a new item. “Cobnuts,” I said aloud to Scott (my plus one), who was on the other side of the aisle rustling through onions. To which he selected a handful for us to crack open at home, promising I’d enjoy them. 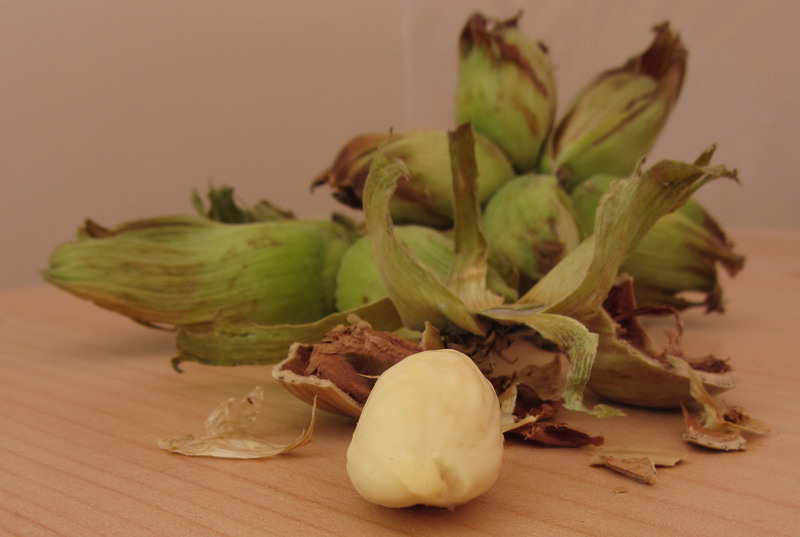 After turning to the internet for answers, I’ll tell you what I learned about cobnuts. They are commercially cultivated hazelnuts, the most popular is the Kentish Cobnut which has been cultivated in the region since the 1500s. I also discovered that you can buy cobnut oil, grown and produced in Kent. 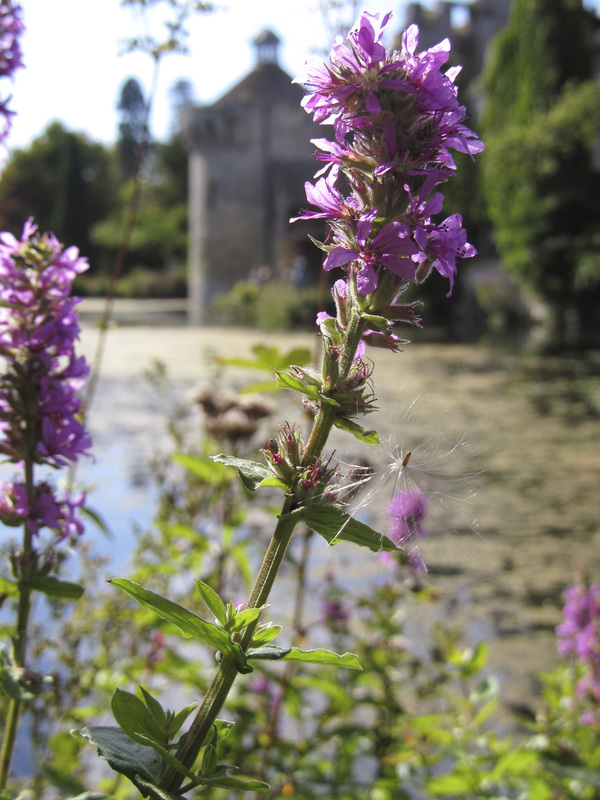 (Remember when we visited a Kentish tea room? 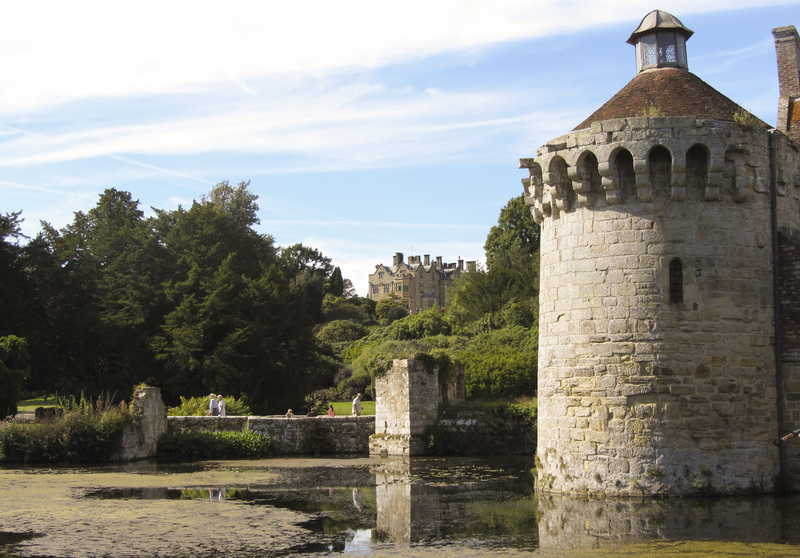 Click back tomorrow, I’ll share some photos from our weekend day trip to the prettiest castle in Kent.) 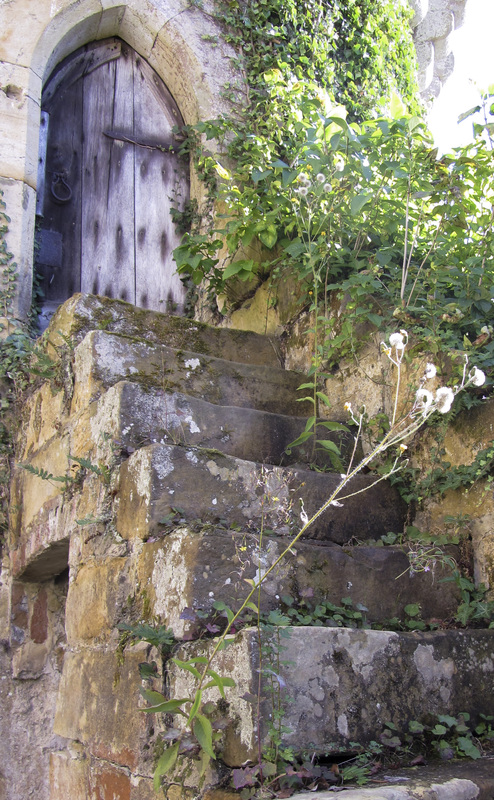 Even though cobnuts are technically grown and sold commercially, Scott recounted childhood memories of checking to see if the cobnuts on the bush-like tree in his childhood garden (yard) were ready for picking. He told me that the nuts required frequent checking to ensure you got a handful before the squirrels started munching on them too. 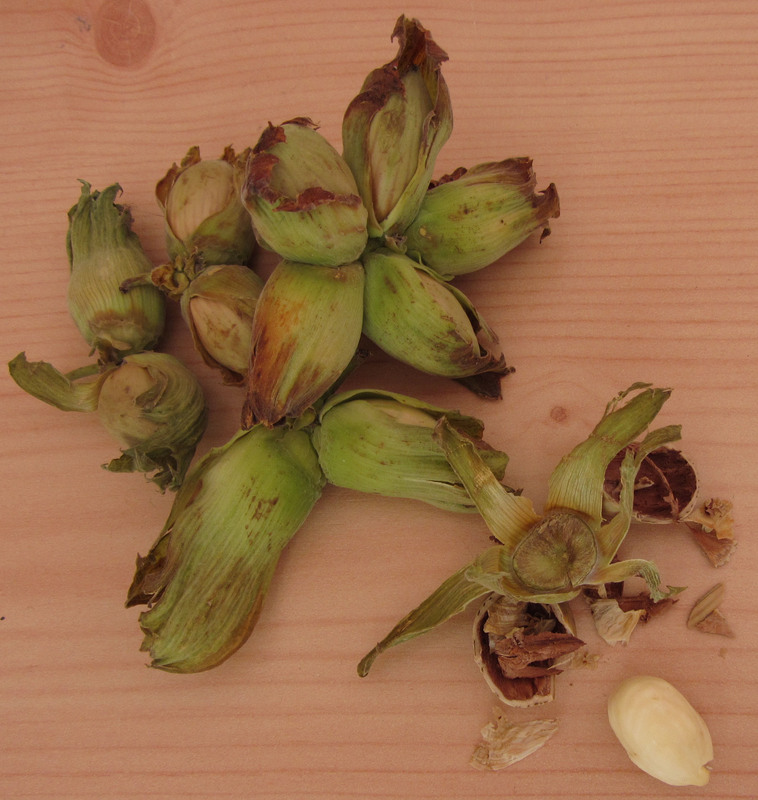 After my internet research, we cracked open our cobnuts. The green frilly casing was soft and easy to remove. We cracked open the strong shell with a pair of pliers. The next step was to remove ALL of the skin… I was told that even a small speck of skin will turn your tasty treat bitter and vile. Once all the skin was removed, it was time for my first cobnut…the taste was sweet and earthy, it reminded me of the smell of freshly shelled peas, but since then I’ve heard it described as similar to coconuts. 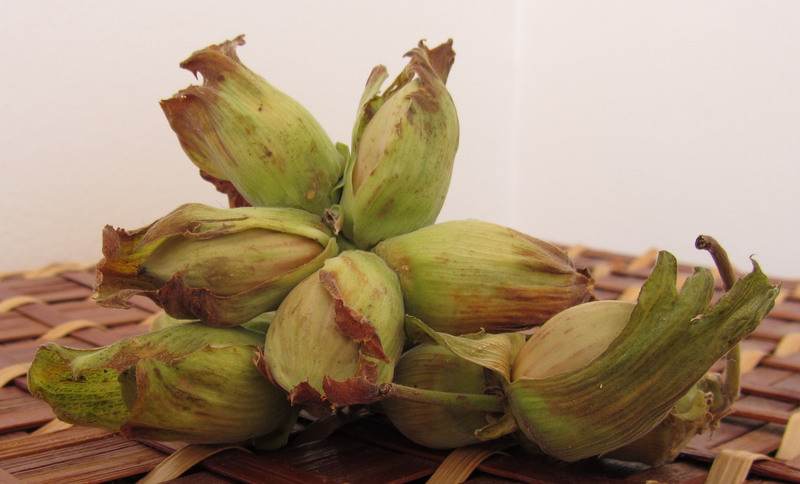 We quickly munched through our handful of cobnuts and purchased some more on our next visit to the store. They are only in season for a few weeks and the wild ones are probably available for an even shorter period of time due to the gastronomic preferences of grey squirrels. I loved discovering them at the store. When I was in China new food discoveries were a near daily occurrence, but it hasn’t happened as much in my new home. But when it does it makes me as excited as squirrel discovering a cobnut tree! 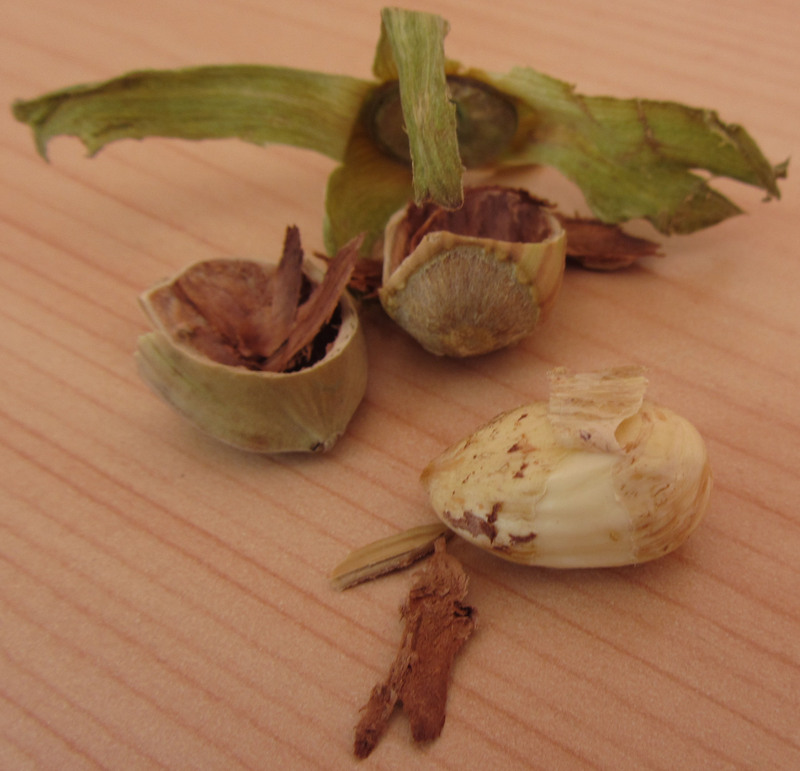 Do you know, can you pick wild hazelnuts in your area? 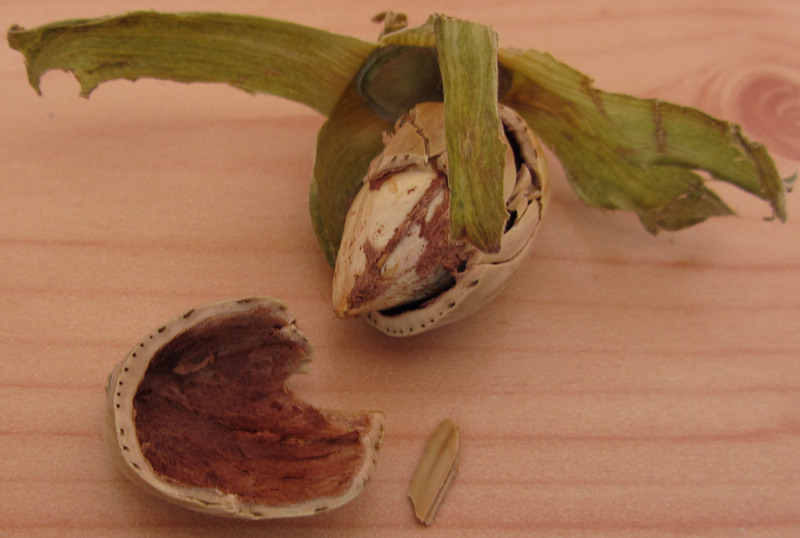 Have you ever tried a cobnut? 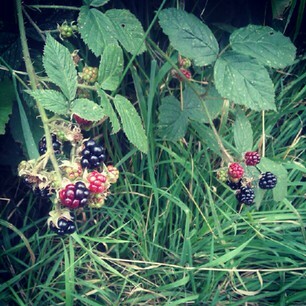 I was cycling along this afternoon and I spotted some blackberries along the lane. I ate a few ripe ones then and there! Thankfully I had an empty container in my bag (that previously contained a eat-at-my-desk snack). There weren’t too many ripe berries, but I did manage to pick a few. I’ll definitely stop back in the next few days to pick some more…fingers crossed no one else spots them. Bicycle and blackberries in a box. 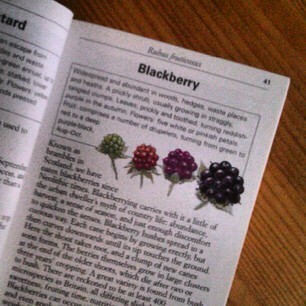 Are there blackberries to pick where you live? 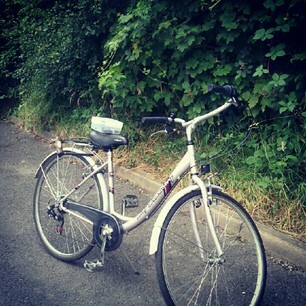 p.s…Do you like my bicycle? I don’t go very fast, but it sure is fun to ride!